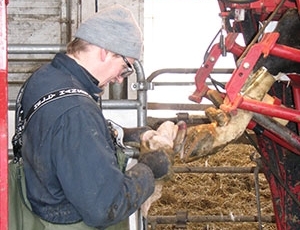 Dr. Gerard Cramer has spent his whole life finding ways to work with dairy cows. Prior to joining the University of Minnesota, Gerard spent time running a dairy farm, owning a foot health specific veterinary practice and getting both a Doctor of Veterinary Medicine and Doctor of Veterinary Science degree from the University of Guelph. Joining the faculty at the University of Minnesota in 2013, Gerard splits his time between educating veterinary and graduate students and doing foot health related research. Outside of work, to relax Gerard spends time with his wife and 2 kids and enjoys playing soccer and running long distances. Dr. Trevor Ames received his Doctor of Veterinary Medicine degree from Western College of Veterinary Medicine, University of Saskatchewan and Master’s Degrees from the University of Minnesota. Trevor was an intern and resident at the UMN, CVM from 1978-1981 and board certified Diplomate American College of Veterinary Internal Medicine in 1983. He is currently a full time administrator serving as the Dean of the College while still teaching some lectures on infectious diseases of cattle including respiratory diseases. Trevor enjoys spending time with family and traveling when not representing the College. 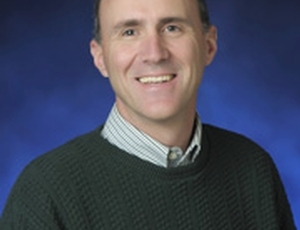 Dr. Tim Goldsmith received his Doctor of Veterinary Medicine from the University of Minnesota in 2001. After working in private practice specializing in bovine production medicine for several years in MN, IA and WI he returned to the University of Minnesota completing a residency program in veterinary public health and preventive medicine. While doing his residency he also completed a Masters in Public Health and became a diplomate of the American College of Veterinary Preventive Medicine. Since 2008, Tim has worked as an Assistant Clinical Professor with the Veterinary Population Medicine Department focusing on beef production medicine and veterinary student teaching, as well as with the Center for Animal Health and Food Safety where he is currently Co-Director of the Veterinary Public Health and Preventative Medicine Residency program. Tim’s current research interests are continuity of business planning, judicious antimicrobial use, and systems approaches to animal production. Away from work, Tim enjoys spending time with his wife and 2 daughters, and helping at his family's farm in Southeast, MN. Dr. Sandra Godden is a 1993 graduate of the Ontario Veterinary College, University of Guelph. 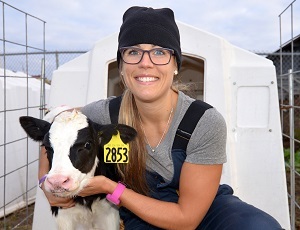 After working for two years as an associate veterinarian in mixed practice in Eastern Ontario, she returned to complete a Doctor of Veterinary Science degree specializing in dairy production medicine. From 1998 to present she has been a member of the Department of Population Medicine, University of Minnesota where she is involved with professional student teaching, applied research and outreach activities in dairy production medicine. Major academic interests include applied research in mastitis control, colostrum and calf health management, Johne’s Disease control and transition cow management. Outside the CVM, Sandra is a volunteer and member for the international development organizations Heifer Project International and Veterinarians Without Borders U.S. She also enjoys working in her garden. Dr. John Fetrow grew up on a commercial poultry farm in Maryland, went to MIT for undergrad and then to veterinary school at the University of Pennsylvania. While doing his residency, he also completed an MBA at Penn’s Wharton School of Business. John has more than three decades of experience in on-farm dairy practice and academic work in dairy production medicine. 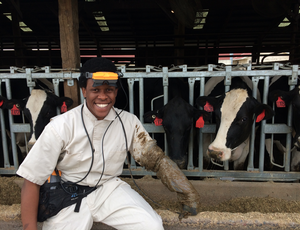 John’s academic focus at the University of Minnesota was on the economics of operating decisions made on dairy farms, dairy production management, disease control, and drug use management on dairies. John enjoys a generally ordinary life with his wife. He has four remarkable grown daughters. 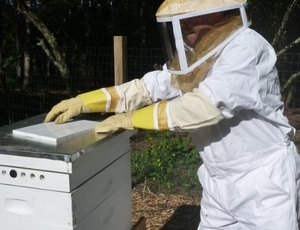 He is a hobby beekeeper (3 hives) and when it is too cold to work outside enjoys making stained glass panels. Dr. Royster graduated from the North Carolina State University College of Veterinary Medicine in 2011. 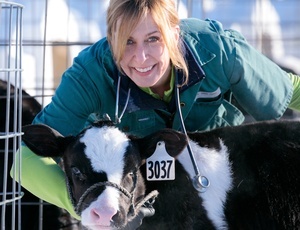 She completed a Master of Science in Veterinary Medicine at the University of Minnesota College of Veterinary Medicine, with an emphasis in milk quality and udder health. Dr. Royster is currently an Instructor in Dairy Production Medicine at the University of Minnesota College of Veterinary Medicine. 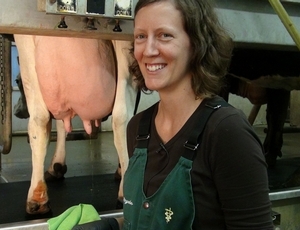 Her areas of interest for research, teaching and outreach include milking equipment evaluation, milking parlor performance, on-farm mastitis diagnostics, and mastitis control. In addition, Dr. Royster is the faculty advisor for the University of Minnesota Laboratory for Udder Health. 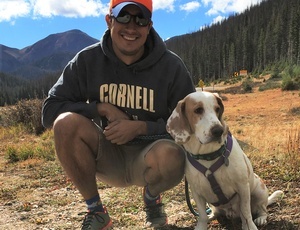 After being awarded a DVM degree from his hometown veterinary school in Brazil, Dr. Luciano Caixeta moved to the United States to pursue further academic and clinical training. His first stop was at Cornell University in Central New York where he completed a Production Medicine Residency and a PhD. 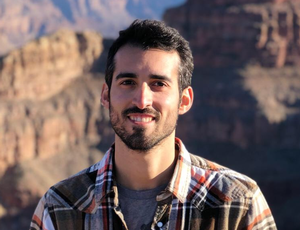 Later, Luciano spent two years at Colorado State University as a Clinical Instructor in Dairy Population Health Management before moving north to join the Dairy Production Medicine group at the University of Minnesota in 2017. His major research areas are the prevention and management of metabolic disease of dairy cattle. Outside of work, Luciano enjoys spending time with his wife Emily and their dog, as well as cooking and barbecuing. Dr. Knauer received her BS in Animal Science from the University of Vermont in 2006 and her VMD from the University of Pennsylvania School of Veterinary Medicine in 2010. After completing her veterinary degree, she completed an internship and residency in Ambulatory and Production Medicine at Cornell University in the College of Veterinary Medicine. In 2013, she joined the Department of Veterinary Population Medicine as a PhD student and worked with Dr. Sandra Godden in the area of Calf Health Management. Dr. Knauer’s thesis work is entitled “The Application of Precision Dairy Technologies to Detect Disease in Group Housed, Automatically Fed Pre-weaned dairy calves. Whitney joined the dairy group as an Assistant Professor in 2017 and instructs rotations in dairy production medicine and small ruminant and camelid production medicine. In her spare time, she enjoys running, rowing, and cycling in and around the twin cities. 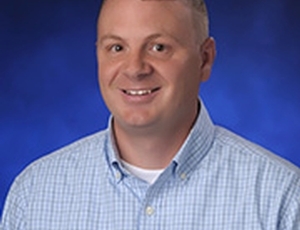 Dr. Scott Wells received his DVM from Michigan State University and then worked for several years in a Wisconsin veterinary practice which was predominantly dairy. He later earned his PhD in veterinary epidemiology at the University of Minnesota, after which he served as the dairy leader in the National Animal Health Monitoring System (within the Centers for Epidemiology and Animal Health, USDA-APHIS-Veterinary Services) in Ft. Collins, CO. Scott has been a faculty member at the University of Minnesota since 1999 and is the Director of Academic Programs at the Center for Animal Health and Food Safety. His research interests are related to prevention and control of pathogens of cattle, including Mycobacterium paratuberculosis (Johne’s disease) and Mycobacterium bovis (bovine tuberculosis). He is board certified in the American College of Veterinary Preventive Medicine and is currently Co-Chair of the National Johne’s Working Group. Outside of work, Scott enjoys time with his wife and four almost grown children, raising a few market lambs, and various outdoor sporting activities. Jessica Yost is a graduate of Gustavus Adolphus College in Saint Peter, Minnesota. After teaching kindergarten four years, she now enjoys working part-time with the Dairy Group at the Dairy Education Center (DEC). Jessica's responsibilities as the Dairy Education Coordinator are to work with students, faculty and Davis Family Dairy managers to host students and continuing education groups in dorm and classroom facilities located at the commercial dairy near Nicollet, MN. 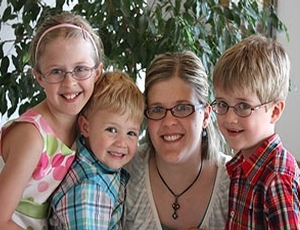 When not at the DEC, Jessica can be found running after her three young children, reading a good book or scrapbooking. Zelmar received his veterinary degree in 2013 from the University of Uruguay. He worked in his home country for 2 years as a practitioner in beef and dairy production systems mainly in reproduction, animal health, and management. 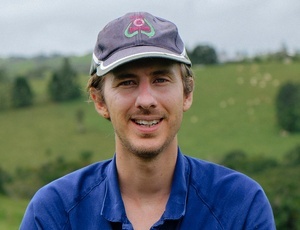 In 2016 he moved to New Zealand to improve his knowledge of dairy management in high-performance dairy farms. In 2017, he joined the Department of Veterinary Population Medicine at the University of Minnesota as a research assistant in a hoof health project and in 2018 as a master's student of Dr. Gerard Cramer and Dr. Luciano Caixeta. His works focus on hoof health and metabolic diseases. He loves to learn new things, spend time with his girlfriend Catalina and enjoy outside activities (even in Minnesota!). Sam received his veterinary degree from James Cook University, Australia in 2010. He then spent 6 years in general practice during which time he received a Master of Veterinary Medicine from Massey University and became a board certified specialist in dairy medicine (DABVP, MANZCVS). During this time he also became an accredited advisor with Dairy Australia in the areas of mastitis management, calf health and transition cow management. Sam moved to Minnesota to join the team in 2017 and will be conducting mastitis research as part of a PhD under Professor Sandra Godden. In his spare time, Sam enjoys exploring the twin cities and going to see live music with his wife Jes. 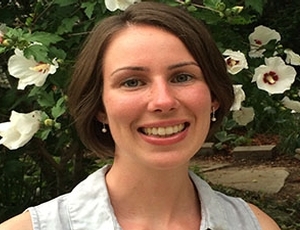 Erin completed a Master of Science in Epidemiology at the University of Guelph in 2013. Erin is currently a Junior Scientist at the University of Minnesota College of Veterinary Medicine. Her research areas of interest include dairy cattle lameness, mixed-methods analysis and knowledge transfer. Dr. Patel received her DVM in 2010, from Pondicherry University, India. In 2013, she received her master’s degree in Veterinary Microbiology from Rajasthan University of Veterinary and Animal Sciences, India. After completing her master’s degree she worked as a product manager in TTK health care Ltd. – Animal welfare division, India. In 2015, She joined the Department of Veterinary Population Medicine at the University of Minnesota as a PhD student and works with Dr. Sandra Godden in the area of Udder Health in dairy cattle. Dr. Patel’s thesis work is entitled “Investigation of the Relationship between Bacterial Counts, Bedding Characteristics and Bedding Management Practices with Udder Health and Milk Quality on US dairy farms. Her research interests are related to udder health, prevention and control of intramammary infections. 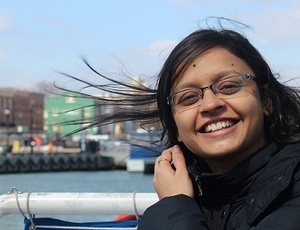 Away from work, Patel enjoys spending time listening to music and singing. Dr. Bobwealth Omontese is a 2009 DVM graduate of the Faculty of Veterinary Medicine, Ahmadu Bello University, Nigeria. He worked for two years as a resident veterinarian and dairy farm manager after which he returned to complete a master’s and doctorate degree in Theriogenology/Animal Reproduction at the Department of Theriogenology, Ahmadu Bello University, Zaria-Nigeria. Bobwealth is a Fellow of the College of Veterinary Surgeons (FCVSN), Nigeria, having completed a residency in bovine Theriogenology. He is also a recipient of the prestigious Mandela Washington Fellowship for Young African Leaders (YALI)- a cultural exchange program of the US Department of State. His major interest is endocrine control of reproduction and fertility management in food animals, especially dairy cows. As a postdoctoral associate at the CVM, University of Minnesota, Dr. Bobwealth works with Dr. Rafael Bisinotto and Dr. Gerard Cramer in investigating “lactational incidence of inflammatory hoof diseases and associated effects on reproductive performance of dairy cows”. 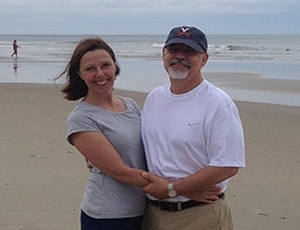 When not doing research, Bobwealth enjoys relaxing with family, making music and public speaking.